Today We present a tale of devotion, of love; of Mega-City One. And All Because The Lady Loves... is brought to you by Lee Robson and Jim Lavery! Join us tomorrow for the finale and remember that Zarjaz 21 is on sale imminently. 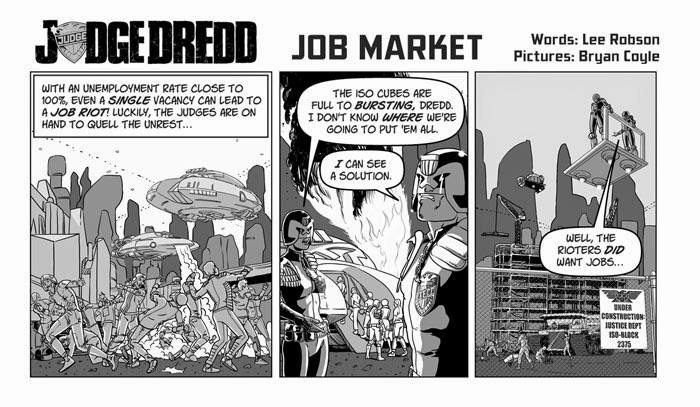 Over on his blog, artist PJ Holden, the man behind the art on Dept of Monterology, loads of strips for 2000 AD and the first artist in my sketchbook, has made This post talking about Small Press comics. He’s right about pretty much everything in it. Thanks to PJ for the kind words and if you agree with them, feel free to vote FutureQuake at the TrueBelievers! 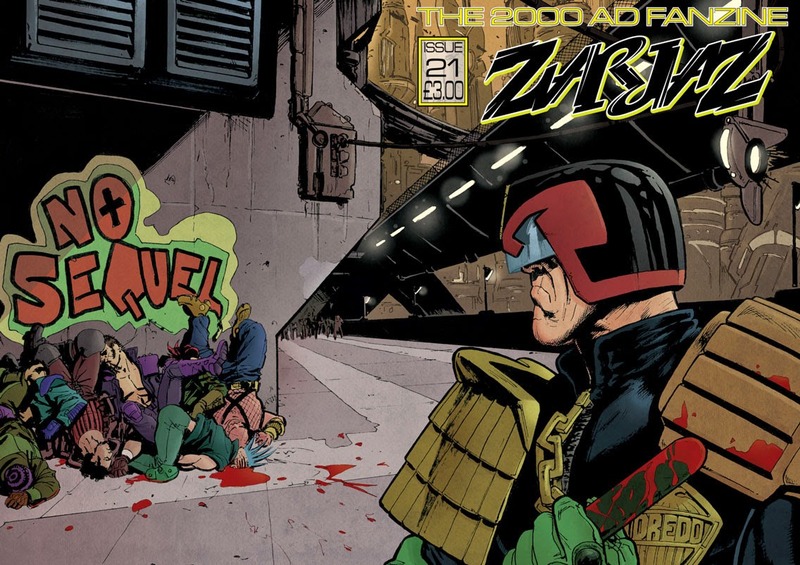 The cover to Zarjaz 21, by the astoundingly talented Patrick Goddard, with colours by Owen Watts.